Our goal is to empower future teachers by providing a more engaging, fulfilling learning experience in the Pre-school environment. Future-Teacher currently offers a Further Education and Training Certificate in Early Childhood Development as a qualification on NQF Level 4. 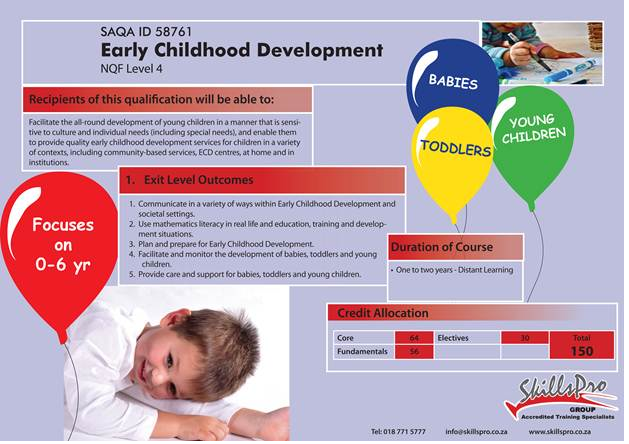 The exciting news is that Higher Certificate: Early Childhood Development on NQF Level 5 is already in development. A pre-requisite to the level 4 course is that you need a qualification on NQF level 3 (Gr 11) or higher to complete this course. 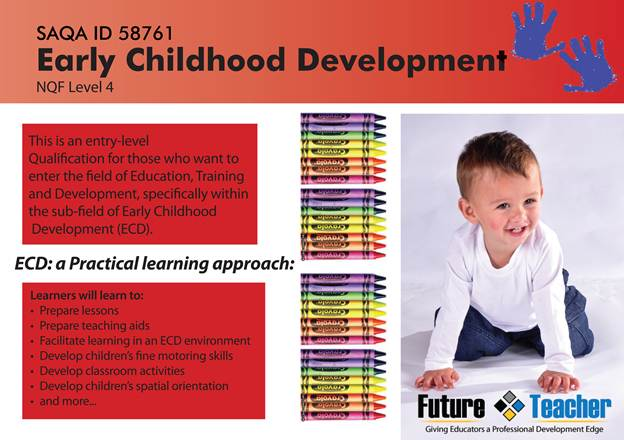 	who would like to start a career path in Early Childhood development.